What would one wish to find in this paradise? 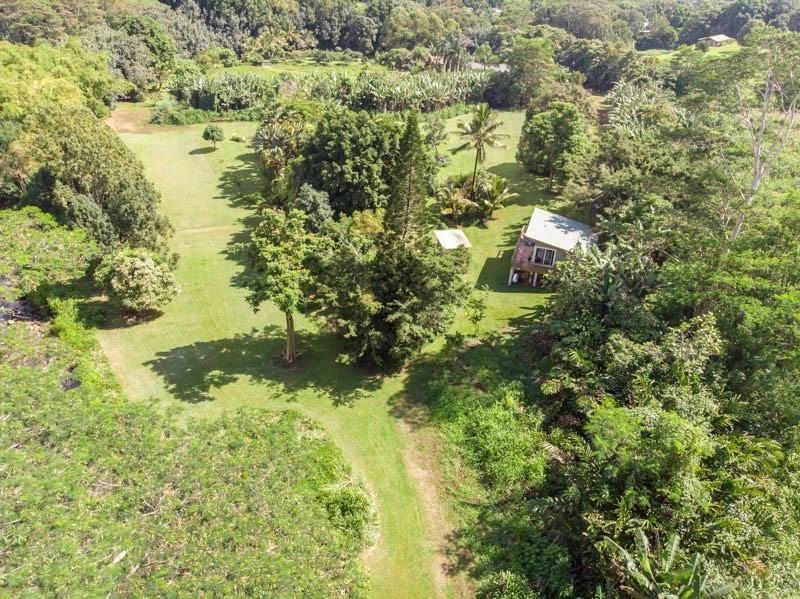 3.88 acres of lush usable land. No structures in site, complete privacy and serenity. An Oasis indeed. 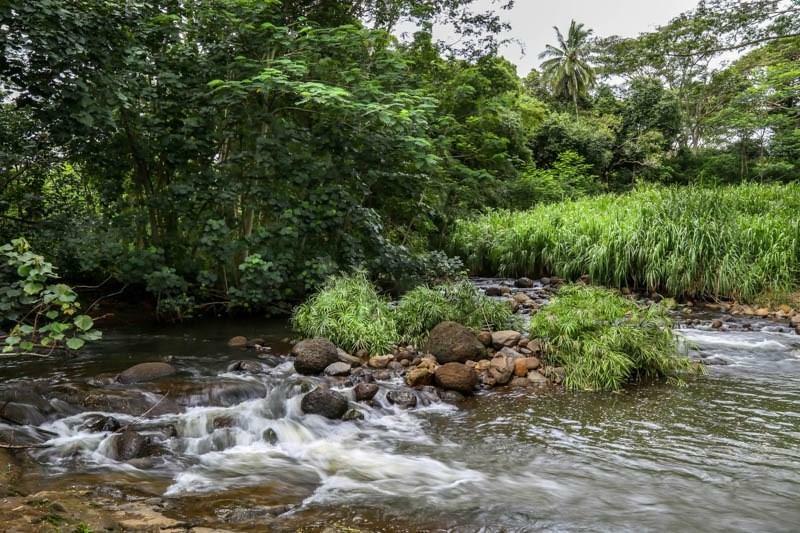 Over 700 feet of Kapaa stream to enjoy and listen to. 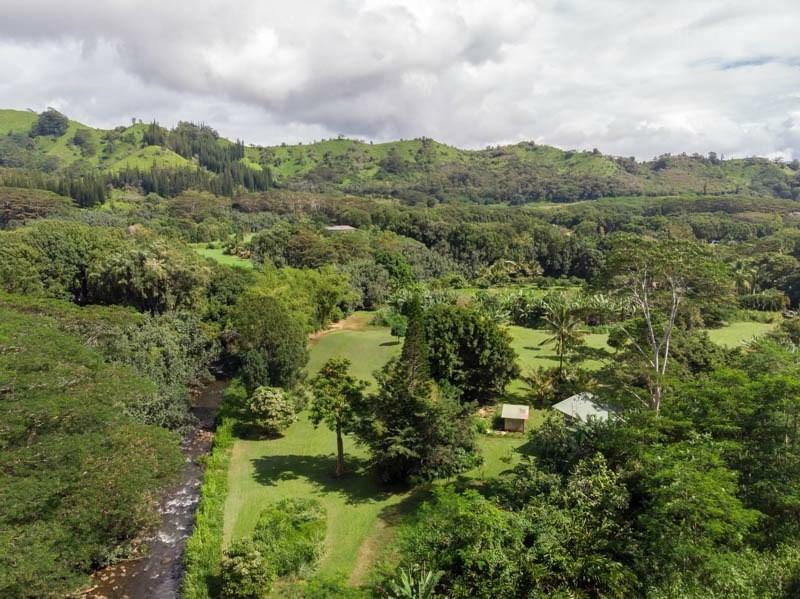 Fruit trees and flowers with a back drop off Makalea Falls. Truly a treat for all five senses. 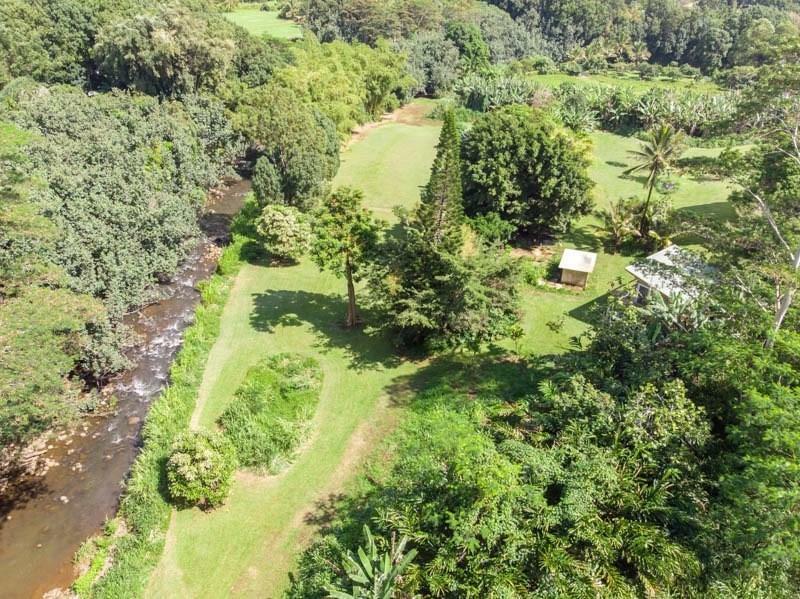 10 minutes drive to Kapaa downtown. Newly built 500 sq ft cottage. One bedroom, one bath, small kitchen, outdoor shower, washer and dryer and a quarter bath below the cottage. All utilities were put into place to accommodate the main house to be built. A must see.